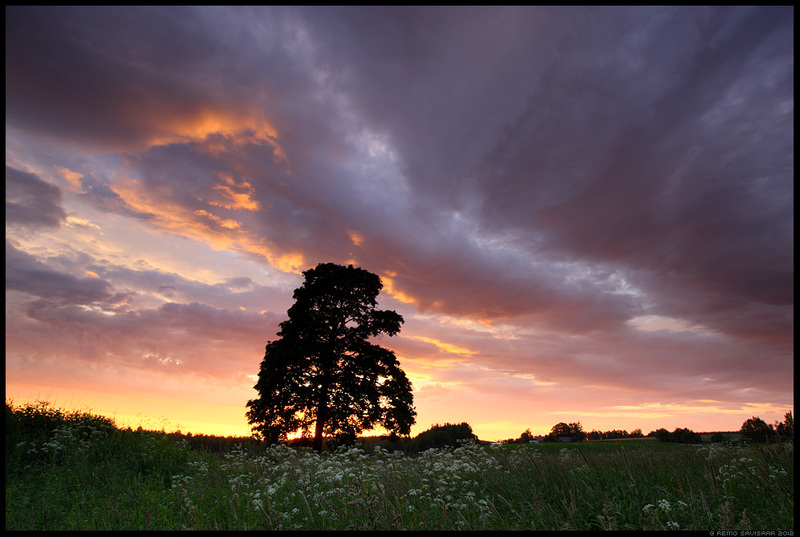 July 23rd, 2012 by Remo Savisaar | Filed under Landscapes / Loodusvaated . Üksik, kuid mitte üksi. Lonely, but not alone. I love the way the flowers and the clouds seem to be pointing toward the tree, and the fact that it is in silhouette. That makes the power of the tree stronger than the beautiful colours in the sky!